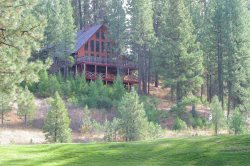 Come visit us at Idaho Vacation Cabins. We want to make sure that you are as comfortable as possible during your stay. If you require something special during your stay, please give us a call and we will do our best to make it happen!